Jaundice Meter is developed With Advance Electronics And Optics adopting Fiber Optics,Spectrum Splitter,Controlled Spectrum Filter,NFM Switching and Information Processing Techniques. The results are accurate, Instant and Safe. Battery Indicator Clews Battery Power Information and Prompts timely. It is easy to Operate And Maintain this unit. It has Mean Value Computation. 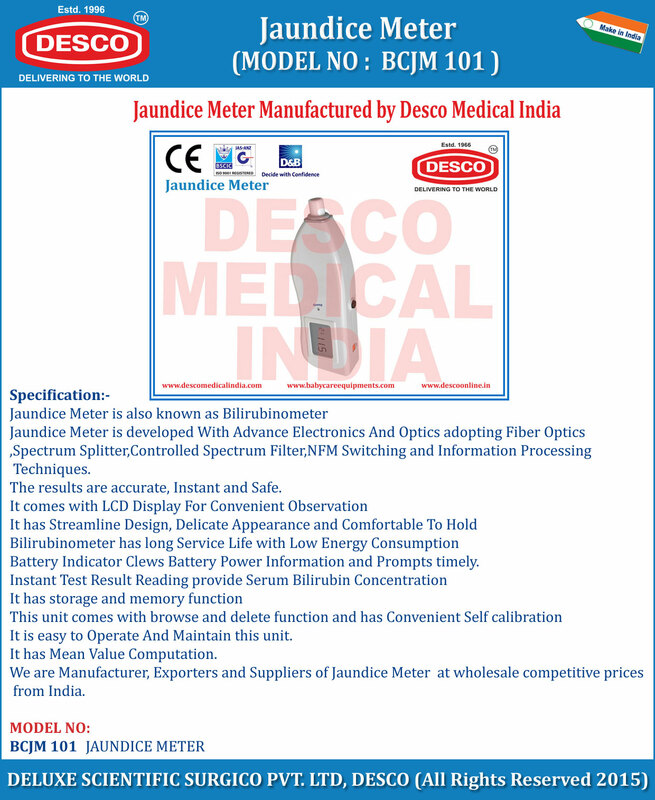 We are Manufacturer, Exporters and Suppliers of Jaundice Meter or Bilirubinometer at wholesale competitive prices from India.